Objective In high-resolution remote sensing imagery, tall objects, such as buildings and trees, often cause interference with part of the light, resulting in the absence of corresponding spectral information and forming the shadow. Therefore, effective and accurate detection of shadow is helpful to recognize the shape of certain objects, relative position, surface properties, height, and other information. 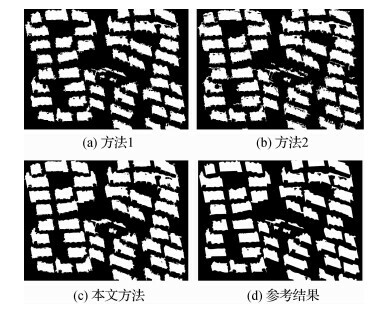 On the one hand, considering the common phenomenon of "same object with different spectra and same spectrum with different objects" and rich details in high-resolution remote-sensing imagery, traditional pixel level methods are often affected by noise when detecting shadow, but the imagery segmentation can allow spatially adjacent and spectrally similar pixels to be merged into the whole to avoid noise interference. On the other hand, morphology operation has certain recognition ability to the prominent region of the spectrum, and the spectral characteristics of shadow are often dark. 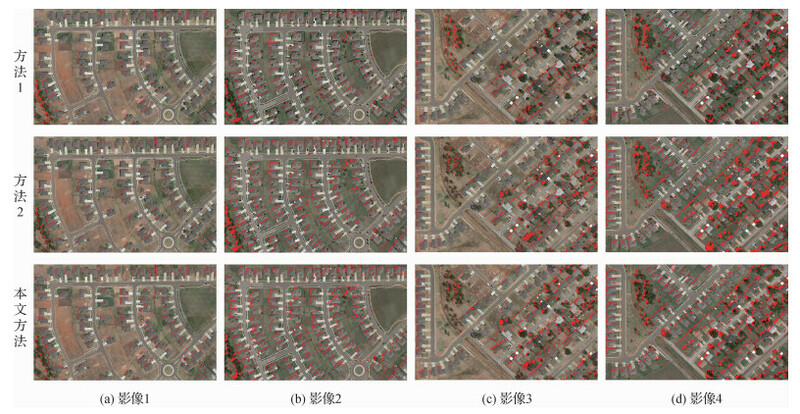 With this analysis, a method based on multi-scale segmentation and morphology operation is proposed. Method The proposed method is based on objected-oriented idea. 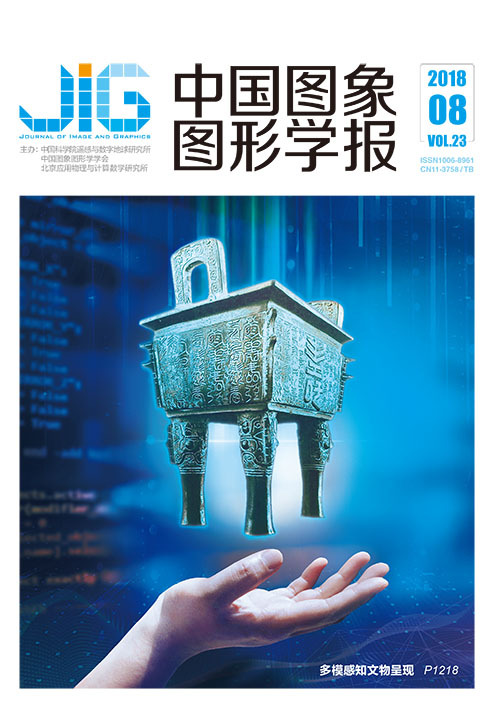 First, imagery segmentation objects are generated by mean shift algorithm, and object-based shadow index is obtained by object morphology dilation and erosion operation. Then, shadow index vector and brightness mean are constructed by setting different sizes of color space and coordinating space kernel function bandwidth. Finally, the shadow index vector and brightness mean are designated with high and low thresholds, and the shadow detection is accomplished. Result GF-2 imagery from Guangzhou and Google earth imageries from Ohio are used in verifying the validity of the proposed method. The proposed method is compared with principal component analysis + HSV transformation + histogram segmentation algorithm and morphological shadow index algorithm by using error, miss, and total error rates. In the shadow quantitative detection experiment, although the error rate of the proposed method is relatively high, the miss rate decreases by 7.31%. In the building shadow detection experiment, the miss rate of the proposed method also dropped by 4.5 percentage points. In the multi-scale effect fusion analysis, the accuracy of the proposed method is ideal under the different combinations of multiple scales. In the capped ground shadow detection experiment, the error rate of the three methods are roughly the same, but the miss rate of the proposed method is significantly lower than that of the comparative methods, and the extent of its decrease reaches an average of 19.29 percentage points. 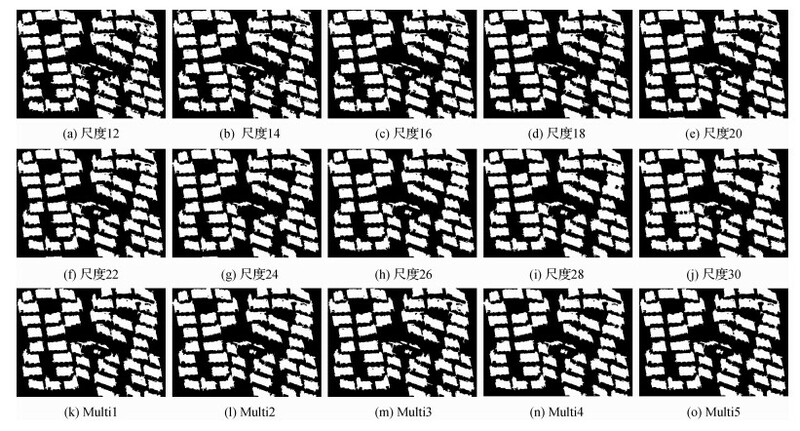 Conclusion This study presents a shadow detection method that combines morphology operation and multi-scale segmentation. Objected-oriented idea is used in the proposed method, which effectively solves the salt and pepper phenomenon. First, on the basis of imagery segmentation, the morphology operation is used to extract the dark area of spectral information. Then, shadow detection result is further determined by the brightness mean. 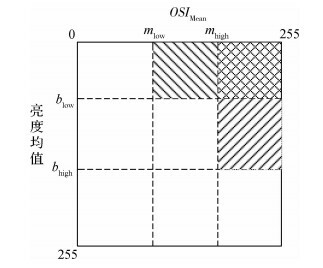 In addition, in view of the difficulty of determining the optimal segmentation scale, the shadow index vector is constructed by multi-scale segmentation. 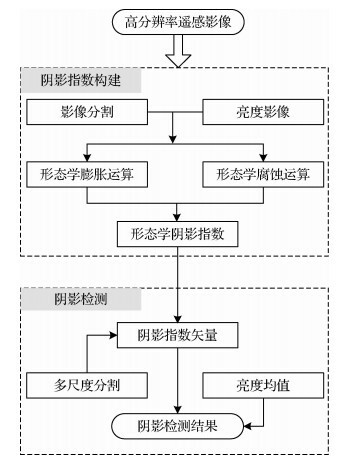 Thus, this vector is helpful to effectively combine the advantages of each scale, enhance the applicability of the proposed method, and reduce the dependence on the segmentation scale. 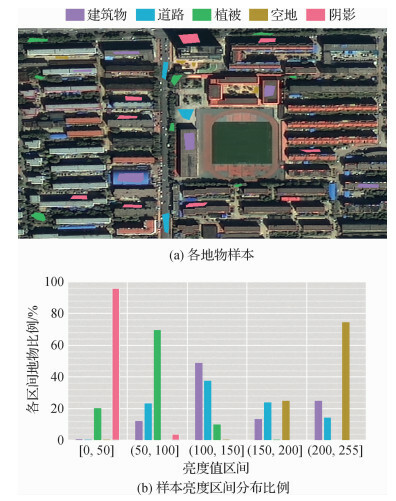 From the detection results, the proposed method achieves ideal results for different types of high-resolution remote-sensing imageries and exerts good detection effect on the capped ground shadow, showing strong robustness and universality. However, the proposed method needs to be improved. For example, if the spectral features are close to the shadows and the shapes of the areas are not much different, then the method needs further exploration. Moreover, how to remove several non-building shadows is challenging, especially when building shadows are adjacent to non-building shadows. 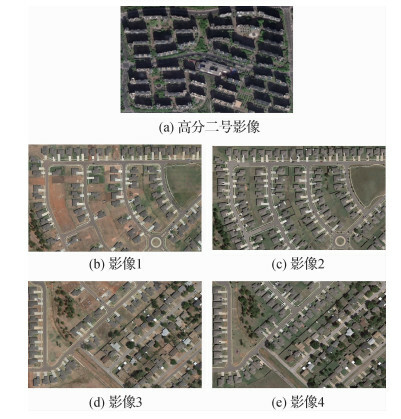 Li Y, Sasagawa T, Gong P. A system of the shadow detection and shadow removal for high resolution city aerial photo[C]//Proceedings of the 24th ISPRS Congress. Istanbul, Turkey: ISPRS, 2004.